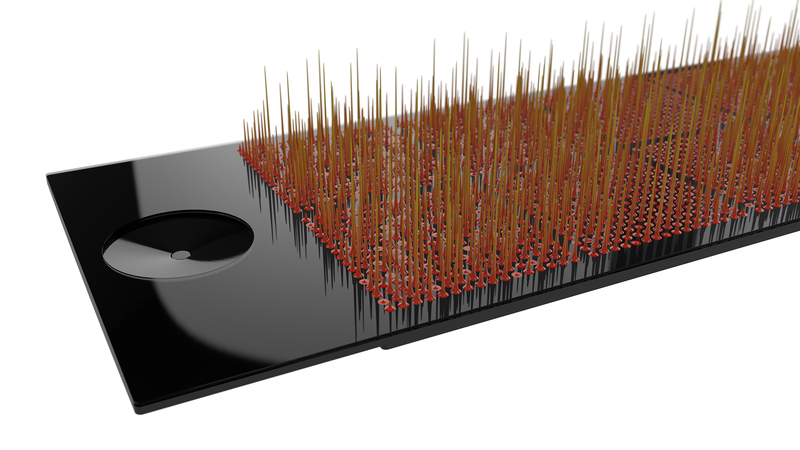 IMMray™ microarray is designed for 14 different samples. Each microarray, in turn, contains 1224 (36×34 spots) data points with different assays. And each assay contains a type of recombinant single chain fragment variant (scFv) antibodies from our own phage-display library, that is able to detect clinically relevant changes in immuno-regulatory factors, cytokines, enzymes, complement proteins, innate factors, and other disease associated proteins. Results are based on signal intensities after scanning with a standard fluorescent scanner.